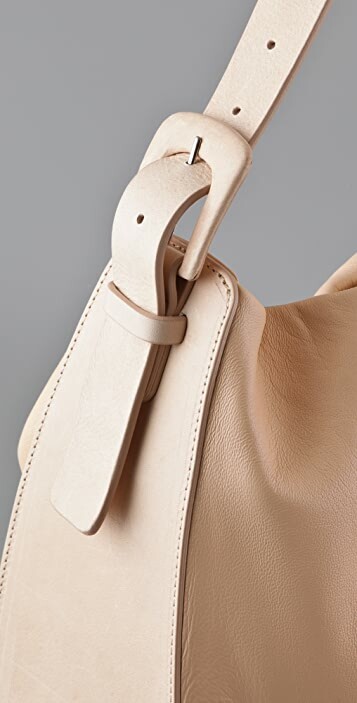 This structured leather tote features a buckled strap and metal feet. Folded edge at top. Magnetic main compartment closure. 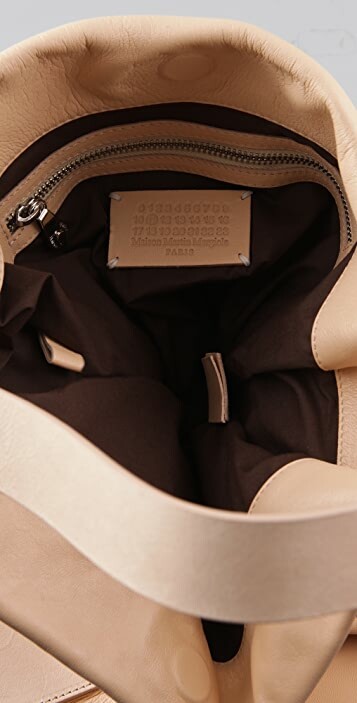 Lined interior features zip pocket. 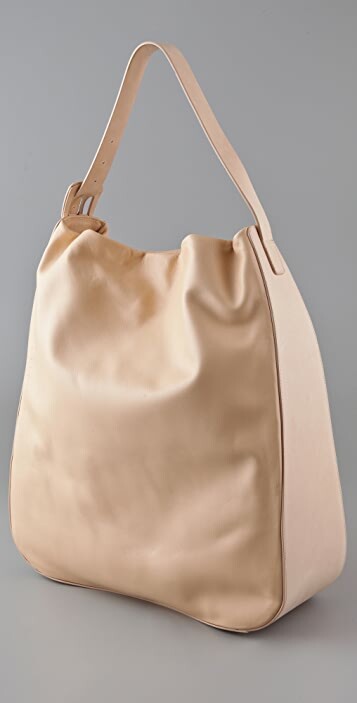 * 17"H x 14"L x 6"D.
Beautiful bag with the supple leather and exquisite craftsmanship you would expect from Margiela. 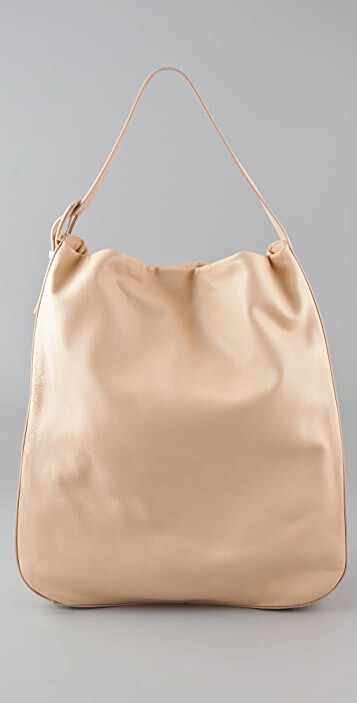 It is a huge bag, but I like that about it.